HAPPY TALK: Anyone for a haircut? The annual review of the UK cruising scene by the PSA (Passenger Shipping Association) was published last week. In itself it is an extremely well-produced and comprehensive document and whilst for the most part very upbeat it paints a less so picture as regards the air travel market. It has always been expected that with the ever expanding aspiration for Brits to take holidays on the water the airlines would benefit substantially. This was not the case in 2008. The review shows that last year there was an 11% increase in cruise passengers to 1.47m, the third successive year of double digit growth. In 2008 23% more passengers chose to start their holiday from a UK port compared with the previous year which means that four out of every ten cruises booked departed from a British harbour. One in every 12 foreign package holidays booked in the UK is now a cruise. In 1999 this figure was just one in every 26. PSA says that in spite of the poor economic situation and the cutback by TUI and Thomas Cook at the lower end of the market the 2009 figure will see growth. This is largely brought on by the introduction of new capacity and the increase in the number of ships operating out of UK ports. MSC, the innovative Italian line and relatively new to the British market, says its UK business is up 80%. For the short Northern Europe season it has set up shop at Dover. In 2010 RCCL (Royal Caribbean) will join P & O and its sister company Cunard with year round operations from the UK. The downside for clients is that two days are needed in order to make more tepid climes, particularly in the winter. The cruise companies (and in particular the ports of Dover and Southampton) really do show the airports up when it comes to boarding. Off loading and parking is a pleasure, check-in quick and efficient, and security professional. And don’t forget it is natural if departing from a home port that people take a lot more luggage than if they are travelling by air. MSC UK Managing Director Giulio Libutti says that in difficult times cruising represents exceptional value. Speaking exclusively to AERBT he said: “Its inclusive nature with meals, accommodation, entertainment and of course multiple destinations mean it is great value.” The PSA review shows that last year a third of all cruises cost less than UKP1,000 and that prices will be even better value in 2009. So where do we go from here? Ten new cruise ships will be launched this year, with another 29 on order through to 2012. Four out of every ten cruises booked started from a UK port – a share expected to increase in 2010 with the arrival of three new ships based in Southampton and one summer deployment becoming year-round. The airlines operating out of the UK need to re-think their marketing strategy with the cruise companies. Meeting people on ships in far flung places one is always surprised to learn that the passengers have chosen premium flight accommodation, even if it means a lesser cabin on board ship. Getting to and from the port in a certain style is clearly part of the experience. Dubai is working hard to attract custom to its cruise terminal with Costa established and Royal Caribbean also getting into the act. Sydney has always been a great cruise port and here the market is expanding. South America is another growing area with the season extended more and more. Argentineans and Brazilians are finding cruising to their taste and soon will want to travel further afield. Both Hong Kong and Singapore are after business. All these are great high yield long haul destinations. 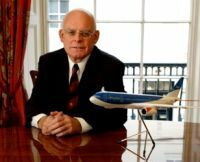 As a business travel publication it would be remiss of us not to comment on the British Airways results for the year ended 31 March 2009. Frankly they are horrendous and a cause for serious worry. Gone are the days when BA was the “World’s Favourite Airline” driven forward by the charismatic Lord King. The pilot in charge now, Willie Walsh, takes a much lower profile, a business school approach rather than the market place. Question and answer sessions are not one of his strong points. Forget some of the comments from uninformed sources. You cannot compare BA with easyJet or Virgin Atlantic (who incidentally will announce their own figures on Tuesday). Both were created from scratch with a specific market in mind. One is short haul within Europe with no expensive night stops for aircraft or crew, and the other a long haul prestige operation initially benefitting on the taste for transatlantic holidays largely spawned by Freddie Laker. Neither airline is saddled with the outdated works practices nor inefficiency built into a business that has been around since 1946 (if you include BEA and BOAC). It is interesting to compare BA with its two European rivals Air France-KLM and Lufthansa. British Airways has a major advantage. It is called Heathrow, still the world’s busiest international airport. Paris may get the number one spot as the global centre for tourism, drawing in the low yield leisure traffic but its business throughput is minimal. Likewise Amsterdam. And Frankfurt is the opposite extreme. Yes for front end passengers but certainly inbound not the most attractive of holiday destinations. So where does British Airways go from here? New planes are on order to replace the aging Jumbo fleet and for the future two-thirds of its Heathrow traffic will be from the expensive and in some ways questionable T5. Do you split the airline and go back to the old BEA/BOAC formula? 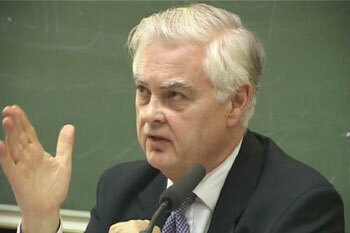 Martin Broughton, the BA chairman, has now stepped down from his position at the CBI. Should he be more hands on as John King and Colin Marshall were in the past? On the micro management side much more attention must be given to the quality of the product, something the old hierarchy were very keen on. Typically complaints seem to be endless regarding the gate arrangements on landing. BA needs to be more aggressive across a wider marketing spectrum. Black cabs fine. Others have been doing it for years. 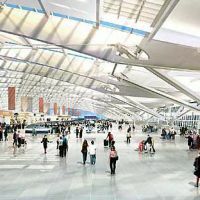 And why just the new terminal? What about the Far Eastern traffic at T3? Does the word “experimentally” mean that it will be dropped if there is no real increase in business? 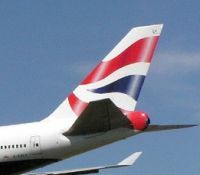 London hosts the Olympics in 2012 with BA as a prime supporter. The next three years should be used to attract visitors in seeing the preparations as they develop. Coupled to what London has already it is a wonderful package. Bring in the passengers now and not just offer scarce seats to VIPs over the six weeks of the actual games. Some would argue that British Airways is the last industrial dinosaur of the pre-Maggie age. Somehow that needs to change. Just like the miners’ strike of 25 years ago action might initially hurt but it has to be done. Rather like Parliament, British Airways, our national flag carrier, stands at a vital crossroads. And as with Westminster progress is the name of the game. 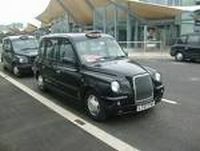 BRITISH AIRWAYS has reported a record loss before tax of UKP410m for the year ended 31 March 2009. 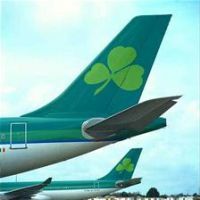 The airline will not pay a dividend and in a subsequent statement Chief Executive Willie Walsh and Finance Director Keith Williams have decided to symbolically work for no pay in the month of July. Next winter the airline will park up to 16 aircraft and no mention was made of the new first class product promised for earlier this year. 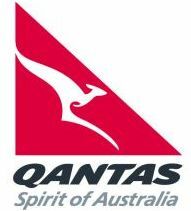 In a long and detailed statement Mr Walsh said that all 57 of the airline's Boeing 747s and 33 of the 43 Boeing 777s are fitted with the new Club World cabin with completion of the balance due by the end of 2009. The statement also expressed concern over the airline's pension fund position, a liability of UKP3bn being suggested by experts in this area. Also see Extra Comment. 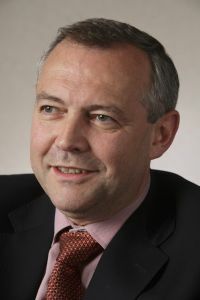 David Hurst is a aviation consultant and sometime journalist. 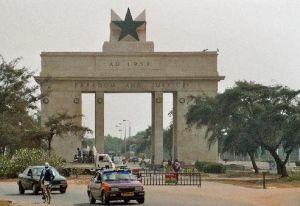 Here he reports on Ghana the former British West African colony which became independnet as the The Gold Coast in 1957. “Ghana? Business trip then?” This was the standard response to the news I was going to Accra. West Africa is not a place that has the most delightful image of world destinations but when looking for someone who has actually been there recently the numbers are few and far between – at least in my circles. Accra is the capital of Ghana and the economic heart though since the economy is underpinned by mining and agriculture the work is carried out elsewhere. Lagos is about as far from Accra as Manchester is from London though there are three national borders to cross between them. Vague memories of The White Man’s Grave made medical advice necessary. Lists of diseases and precautionary jabs went on for pages. However, digging deeper showed that if the trip was short and ventures outside the capital were limited or non-existent then the list reduced dramatically to three jabs and malaria tablets. Even the jabs may not be required by well travelled people as they include the normal tetanus, polio, typhoid. The unusual one was yellow fever which is required for entry and can only be done at registered clinics. Visas are also necessary. Flights are usually crowded and prices are not cheap. 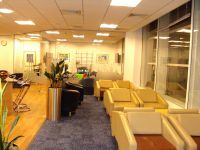 From UK there are the direct options of British Airways out of Heathrow and Ghana International from Gatwick. British Airways are milking the route with the fare for Monday out and Friday return at the end of the Easter holidays being a shocking UKP2000 return for economy! KLM charged UKP950 via Amsterdam for the same dates. The flight out of Amsterdam was around 85% full with only a couple of spare seats in business class but more in economy, mainly in the forward cabin. The return flight was more or less full. Both KLM and British Airways are the only European airlines flying non-stop services to Accra though Lufthansa plans to start non-stop from Frankfurt this summer. Currently it flies via Lagos, as does Alitalia. Arrival in Accra is in the early evening and walking out of the door of the aircraft the heat is good. By the foot of the steps the novelty had worn off and the modern air conditioned airport bus was welcome. The terminal is tired and needs refurbishing but the system works. Immigration was reasonably fast with queue-minders moving people around. Baggage reclaim had taken advantage of the wait at Immigration but the bags appeared on the belts without too much further delay. There were plenty of free baggage trolleys. Travelling due south means that jet lag is negligible but arrival in the early evening makes hotels a priority. 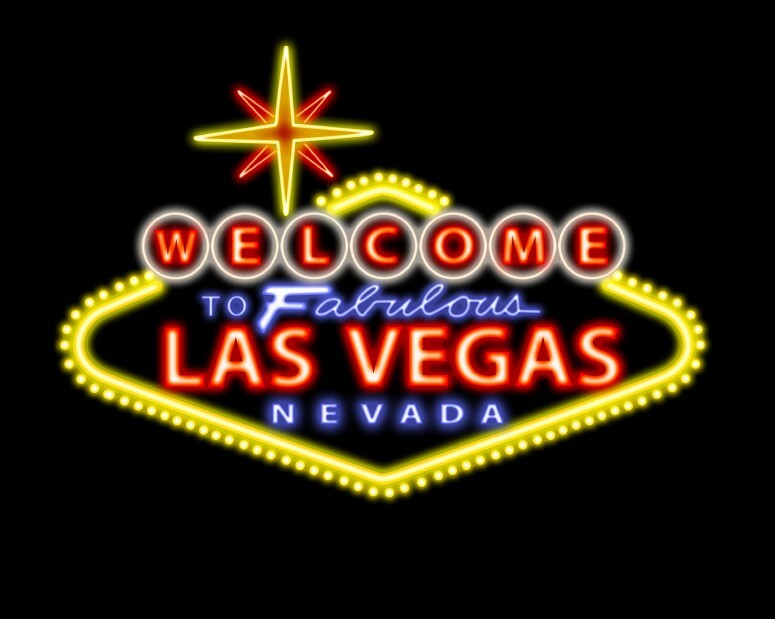 Hotel rooms are limited though some big chains are present or building. Golden Tulip have a reasonable business property and Holiday Inn have just opened near the airport. Hilton and Marriott are building. As Accra is on the coast there are two properties taking advantage of the beach, Labadi Beach which claims to be five star and La Palm more or less next door which is four star but said to have a better pool. On a personal level the Golden Tulip works with standard hotel rooms which are clean, equipped normally – although the air conditioning was uncontrollable – and an efficient business centre. Prices at USUSD200 a night reflect the current scarcity of rooms. Food was acceptable quality and served promptly and hot and the staff throughout were cheerful, efficient and obviously well trained. It is currently undergoing refurbishment with half the 234 rooms out of commission until May 2010. A meal for four including drinks in a beachside brassiere at a four-star hotel was around UKPUKP50 which I was told was expensive for the country. I was shown a shiny clean relatively new European-style shopping mall built, I was told, by South African money with shops and eating places that could be seen in Europe but without the familiar European names. At the other extreme there are hawkers at every traffic light selling everything from phone top up to floor mops but there is no aggression either from the hawkers or the drivers. Ignore them and they walk on. Oil is the big news in Ghana since UK-based Tullow Oil had a successful strike offshore near the Ivory Coast border. Exploration continues but indications so far are of a small field in world terms, currently thought to be around 2.5bn barrels, which is not much compared with Nigeria’s 35bn. Ghana is different to Nigeria. West Africa is tarred with the image of Lagos as the place travellers do most to avoid but Ghanaians are different, far more laid back and friendly and with a propensity to smile. ‘Laid back’ usually infers a lack of efficiency but a Brit living in Ghana told me that once the culture of the company is laid down and enforced and training given then the system is followed. Ghanaians do not like giving offence and avoid confrontation so the enforcement of standards is important. The attitude probably reflects into security. There were no guards on hotels or offices beyond normal doormen or receptionists. I felt entirely safe and unthreatened at all times but I was told there were areas in Accra that might not be safe though the same can be said of every capital. The politics are remarkable. The country held a general election over December and January and changed president and ruling party without any riots or revolution. This is the third presidential election in a row that has passed without any serious trouble which marks out the country as almost unique in Africa. There is corruption and cash will help get something done but there is also a national concern about it and a completely free press means that serious dishonesty is unlikely to grow too overt. Accra is not without problems. These can be reduced to two words, ‘traffic’ and ‘electricity’ and even those can be reduced to a lack of capital to develop the infrastructure. As soon as anyone makes some money they buy a car but the roads are constantly struggling to keep up. There are six lane highways but there are also traffic lights and cross roads which result in queues. An air conditioned car and driver is essential for a business visitor. Electricity is also the result of the developments outrunning the supply. I only saw one power cut for two or three seconds but all major buildings, including all the hotels, have large permanent generators on site to cope with demand. The curiosity is the lack of a significant tourism industry. 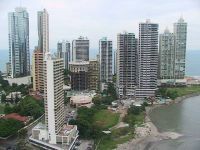 The country has a south facing sandy coastline with very little resort development. The coast has a dozen or so historical castles built by the Europeans to facilitate the export of slaves. There is the largest man made lake in the world with a couple of small hotels at the dam but no tourism development elsewhere. There are designated game parks which cry out for decent roads and camps. On an immediate note there are not even half-day tours of Accra on sale in the hotel for business travellers with a few hours to kill. Accra is beginning to buzz and there is an air of optimism which is in marked contrast to Europe. This is probably the result of the recent elections and the forthcoming oil but is refreshing. This has been submitted by Ian Goold, a much respected aviation journalist. This is the only connection with the air travel industry, but we think it’s funny. A florist goes to his barber for a haircut. Afterwards, as he pays for his trim, the barber replies, “I cannot accept money from you. I’m doing this to serve my community.” Very pleased, the florist left the shop. When the barber opens the next day there is a “thank you” card and a dozen roses on his doorstep. A policeman comes in for a haircut, but when he tries to pay, the barber says, “I cannot accept money from you. I’m doing this as community service.” Very happy, the PC leaves the shop. The next day the barber finds a “thank you” card and a dozen donuts on his doorstep. Later, a schoolteacher comes for a haircut, and when he tries to pay, the barber replies, “I can’t take your money, I’m doing this as community service.” The teacher goes away very happy and the next morning the barber finds a “thank you” card and a dozen useful books on his doorstep. The barber’s MP (Member of Parliament) comes for a trim, but when he tries to pay he is told, “I cannot accept your money from you. I’m doing this as community service.” Very happy, the politician goes away. The next day when the barber opens up, he finds on his doorstep a dozen MPs – all wanting a free haircut.